Unfortunately Oxford 152 is fully booked on Saturday night. We will have post workout beers at the gym instead!! We would like ALL CrossFit Brisbane Registered Athletes to contest the OPEN at 4pm on Saturday if possible. If you are unable to attend at 4pm, there is a backup time of 8am in the morning. We will head to Oxford 152 for dinner after the close of the 4pm session. All family and supporters are WELCOME! If you are registered for the 2015 Open and serious about your result you should take a rest day today and work on mobility drills. No extra training, get ready to go tomorrow! Rest 20 secs between efforts. You will need to reserve your place in one of these sessions. Make your reservation through Member Connect. This is the same process you use to book the Afternoon CrossFit sessions. If you have not yet used Member Connect, please contact Wendy or Matt. The Open workouts will be run on Saturday morning at 6am and 7am under normal training conditions. No formal competition set up, rules or judging will be available during these sessions. This is just another training session, don’t stress! Supporters and Cheers Squads WELCOME!!! There will be a social function at the conclusion of each afternoon session on Saturday. The first social function is dinner at Oxford 152. RSVP at the gym. There will be a judges board in the gym. Accredited judges, please write your name in sessions you are available to judge. We need as many registered judges as possible. 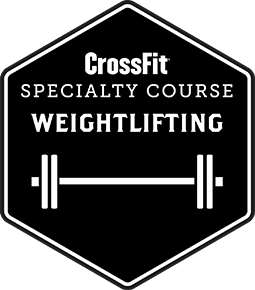 If you are able and willing to judge please go to the Games site http://games.crossfit.com to complete the Judges Course and let Wendy know when you have completed it - Thank you! Our athletes that are serious about the competition and attempting to qualify for the Regionals, either as an individual or team member, will need to be videotaped according to submission standards. If you are in this category, and serious about a top 100 spot please make sure that you have your own video camera arranged to record your workout (it must be reliable and have capacity for long workout recording - test it beforehand!). We will be video recording all sessions for quality control purposes but each individual must be responsible for their own submission if required. Please make sure that you know and understand the video submission requirements. All CrossFit Brisbane members who are registered for the CrossFit Open must read and comply with the attached ‘CrossFit Games Drug Testing Policy’ and Rule Book.